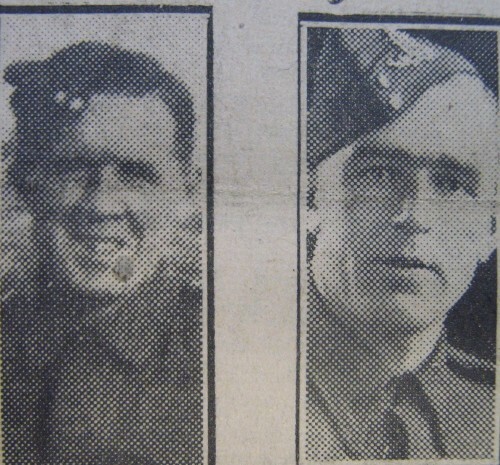 The above, Driver A W Brown, RASC., and Gunner J Brown, RA., have met in Italy. They are the sons of Mrs and the late Mr Thomas Brown of 21 Freehold Street, Quorn. Each has a wife and child, the former living at Barrow-street, Loughborough, and the latter in Bridge-street, Barrow-on-Soar. Before joining up, Driver Brown worked at Messrs Garners, Belgrave, and the latter at Messrs M Wright and Sons, Quorn.